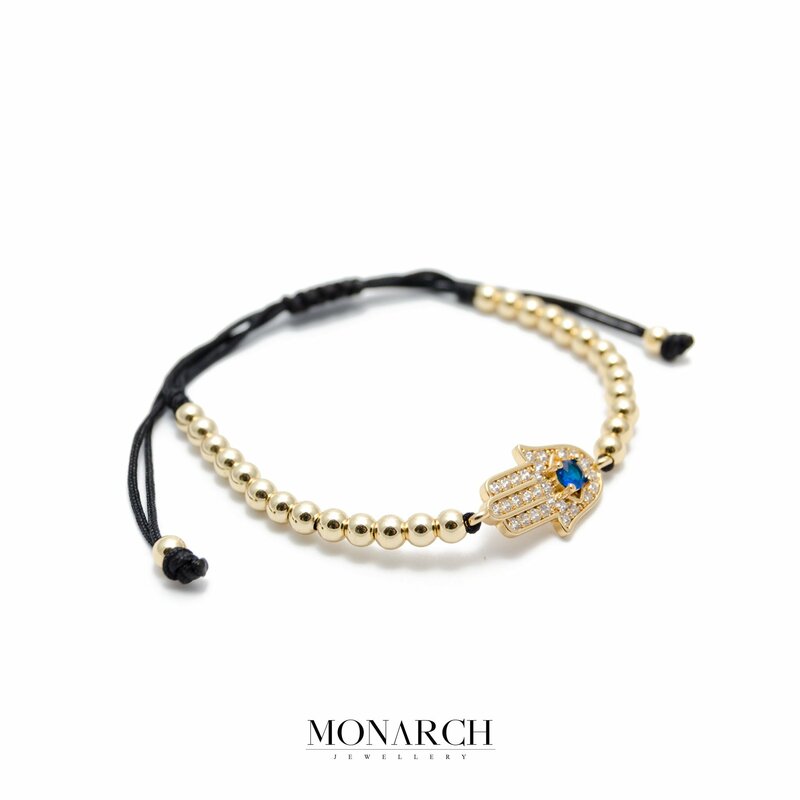 The 24K Gold Fatima Hand Charm Macrame Bracelet is one item that will make you stand out anywhere you go. 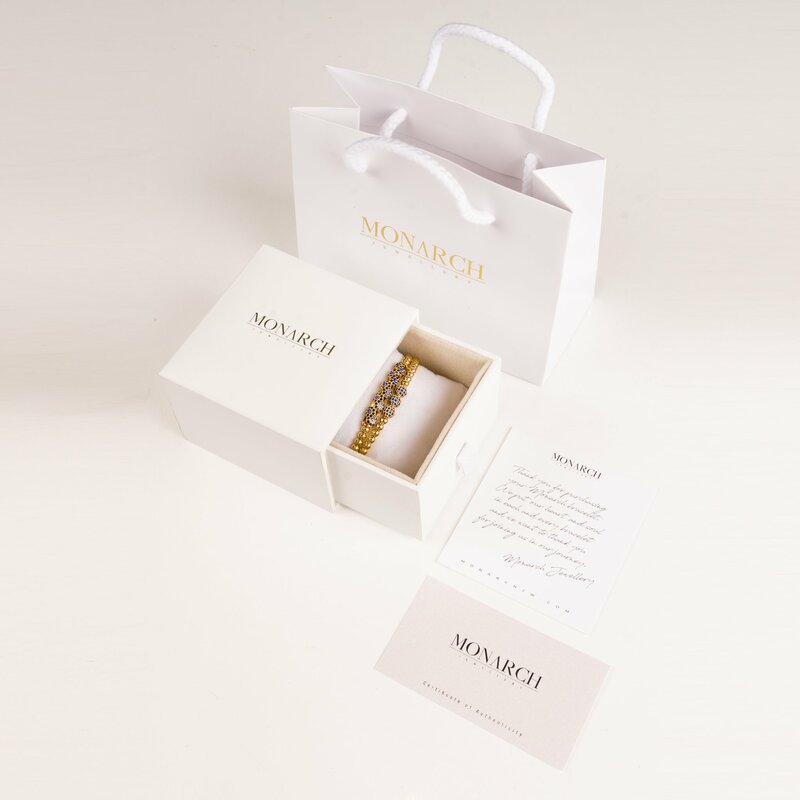 The 24k gold plated bracelet is one of the main items in the Oro Collection by Monarch Jewellery. The meaning of the well-known symbol, Fatima Hand, it is still covered in mistery. Perfect for stacking, wear with another Monarch luxury bracelet to define your own style.